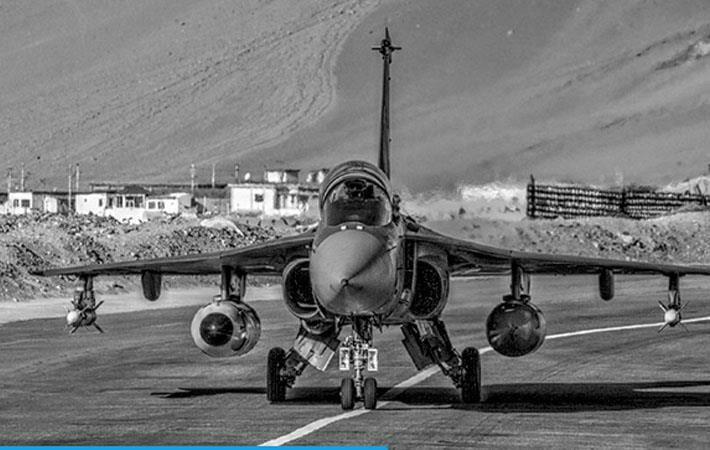 CSIR-National Aerospace Laboratories (CSIR-NAL) will make critical composite air-frame components for the LCA-Tejas Full Operational Capability (FOC) standard aircraft. It has got an order of more than Rs 100 crore from Hindustan Aeronautics Limited (HAL). The use of composites has led to an overall weight reduction of about 20 per cent in the air-frame. Dr. Harsh Vardhan, minister, science and technology and vice president, CSIR congratulated the team of CSIR-NAL and said that this is a unique effort and highlights CSIR’s commitment towards the Make in India initiative. “The cutting edge technology is one of the critical technologies that make the LCA a 4th generation fighter aircraft” added Vardhan. Director General-CSIR, Dr. Girish Sahni stated that the use of this co-curing technology in LCA has resulted in 40 per cent reduction in the part count, 50 per cent reduction in the number of fasteners, and 30 per cent reduction in the assembly time when compared to a conventional metallic air-frame. The usage of composites has led to an overall weight reduction of about 20 per cent in the air-frame. “It is a matter of pride for the country that LCA’s percentage deployment of composites is one of the highest among contemporary aircraft of its class anywhere in the world and this order of Rs 100 crore plus value is a major achievement for CSIR,” said Sahni. CSIR-NAL’s collaboration with LCA programme started from technology demonstrator (two aircrafts) to prototype development (five aircrafts) to limited series production (eight aircrafts) and Initial Operational Capability (IOC) standard production aircrafts (SP1 to SP20). The initial IOC order of 20 sets is nearing completion. The challenges were to develop the co-cured complex components indigenously during the time of technology denials and sanctions from other countries. Moreover, the autoclaves necessary for processing composite materials were also developed indigenously by CSIR-NAL. This homegrown technology developed by CSIR-NAL was used in realising primary air-frame components of LCA like Fin, Rudder, Wing Spars and Fairings, Centre Fuselage and Main Landing Gear components.